Peter Schwartzstein on ‘The explosive secrets of Egypt’s deserts‘ – the recovery of military maps, aerial photographs, personal journals and sketchbooks from the Second World War to plot the vast minefields that continue to haunt ‘one of the most hotly contested killing fields of the twentieth century’. You can find more in Aldino Bondesan‘s ‘Between history and geography: The El Alamein Project’, in Jill Edwards (ed) El Alamein and the struggle for North Africa (Oxford, 2012). I discussed those minefields in ‘The natures of war’ (DOWNLOADS tab), and that essay intersects in all sorts of ways with my good friend Gastòn Gordillo‘s project on terrain, so here is a short reflection from him entitled Terrain, forthcoming in Lexicon for an Anthropocene Yet Unseen. Not the ‘war on drugs’ but the war through drugs: Mike Jay‘s sharp review essay (‘Don’t fight sober’) on Łukasz Kamieński‘s brilliantly titled Shooting Up: a short history of drugs and war and Norman Ohler‘s over-the-top Blitzed: drugs in Nazi Germany (for another, equally critical take on Ohler, see Richard J Evans‘s splenetic review here; more – and more appreciative – from Rachel Cooke‘s interview with Ohler here). 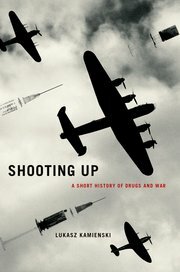 In Shooting Up, a historical survey of drugs in warfare that grew out of his research into future military applications of biotechnology, Łukasz Kamieński lists some of the obstacles to getting the facts straight. State authorities tend to cloak drug use in secrecy, for tactical advantage and because it frequently conflicts with civilian norms and laws. Conversely it can be exaggerated to strike fear into the enemy, or the enemy’s success and morale can be imputed to it. When drugs are illegal, as they often are in modern irregular warfare, trafficking or consumption is routinely denied. The negative consequences of drug use are covered up or explained away as the result of injury or trauma, and longer-term sequels are buried within the complex of post-traumatic disorders. Soldiers aren’t fully informed of the properties and potency of the drugs they’re consuming. Different perceptions of their role circulate even among participants fighting side by side. Kamieński confines the use of alcohol in war to his prologue and wisely so, or the rest of the book would risk becoming a footnote to it. A historical sweep from the Battle of Hastings to Waterloo or ancient Greece to Vietnam suggests that war has rarely been fought sober. This is unsurprising in view of the many different functions alcohol performs. It has always been an indispensable battlefield medicine and is still pressed into service today as antiseptic, analgesic, anaesthetic and post-trauma stimulant. 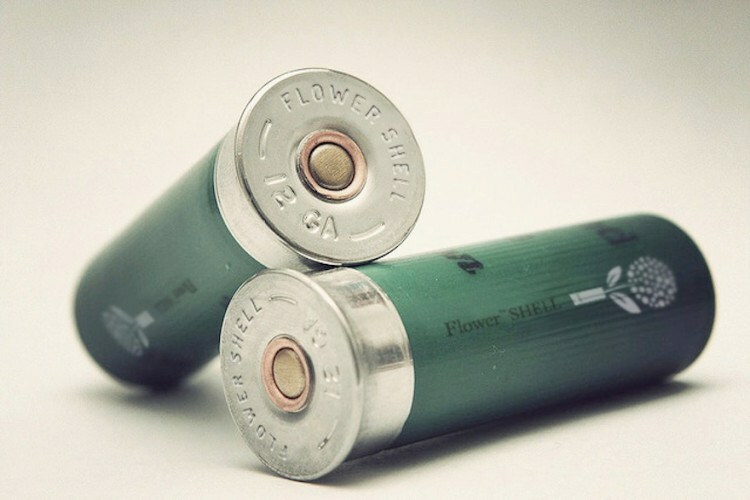 It has a central role in boosting morale and small-group bonding; it can facilitate the private management of stress and injury; and it makes sleep possible where noise, discomfort or stress would otherwise prevent it. After the fighting is done, it becomes an aid to relaxation and recovery. All these functions are subsidiary to its combat role and Kamieński’s particular interest, the extent to which drugs can transform soldiers into superhuman fighting machines. ‘Dutch courage’ – originally the genever drunk by British soldiers during the Thirty Years’ War – has many components. With alcohol, soldiers can tolerate higher levels of pain and hardship, conquer fear and perform acts of selfless daring they would never attempt without it. It promotes disinhibition, loosens cultural taboos and makes troops more easily capable of acts that in civilian life would be deemed criminal or insane. The distribution of alcohol and other drugs by medics or superior officers has an important symbolic function, giving soldiers permission to perform such acts and to distance themselves from what they become when they’re intoxicated. Opium, cannabis and coca all played supporting roles on the premodern battlefield but it was only with the industrialisation of pharmaceutical production that other drugs emerged fully from alcohol’s shadow. Morphine was widely used for the first time in the American Civil War and the 19th-century cocaine boom began with research into its military application. Freud was first alerted to it by the work of the army surgeon Theodor Aschenbrandt, who in 1883 secretly added it to the drinking water of Bavarian recruits and found that it made them better able to endure hunger, strain and fatigue. During the First World War cocaine produced in Java by the neutral Dutch was exported in large quantities to both sides. British forces could get it over the counter in products such as Burroughs Wellcome’s ‘Forced March’ tablets, until alarms about mass addiction among the troops led to a ban on open sales under the Defence of the Realm Act in 1916. During the 1930s a new class of stimulants emerged from the laboratory, cheap to produce, longer-acting and allegedly less addictive. Amphetamine was first brought to market in the US by Smith, Kline and French in 1934 in the form of a bronchial inhaler, Benzedrine, but its stimulant properties were soon recognised and it was made available in tablet form as a remedy for narcolepsy and a tonic against depression. As with cocaine, one of its first applications was as a performance booster in sport. Its use by American athletes during the Munich Olympic Games in 1936 brought it to the attention of the German Reich and by the end of the following year the Temmler pharmaceutical factory in Berlin had synthesised a more powerful variant, methamphetamine, and trademarked it under the name Pervitin. 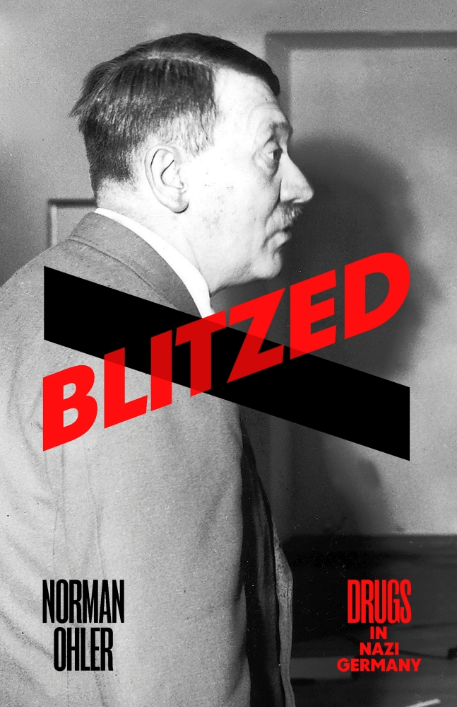 As Norman Ohler relates in Blitzed, research into its military applications began almost immediately; it was used in combat for the first time in the early stages of the Second World War. Ohler’s hyperkinetic, immersive prose evokes its subjective effects on the German Wehrmacht far more vividly than any previous account, but it also blurs the line between myth and reality. When I deployed to Iraq as an infantry soldier in 2008 I never imagined I would become a pseudo-expert in concrete, but that is what happened—from small concrete barriers used for traffic control points to giant ones to protect against deadly threats like improvised explosive devices (IEDs) and indirect fire from rockets and mortars. Miniature concrete barriers were given out by senior leaders as gifts to represent entire tours. 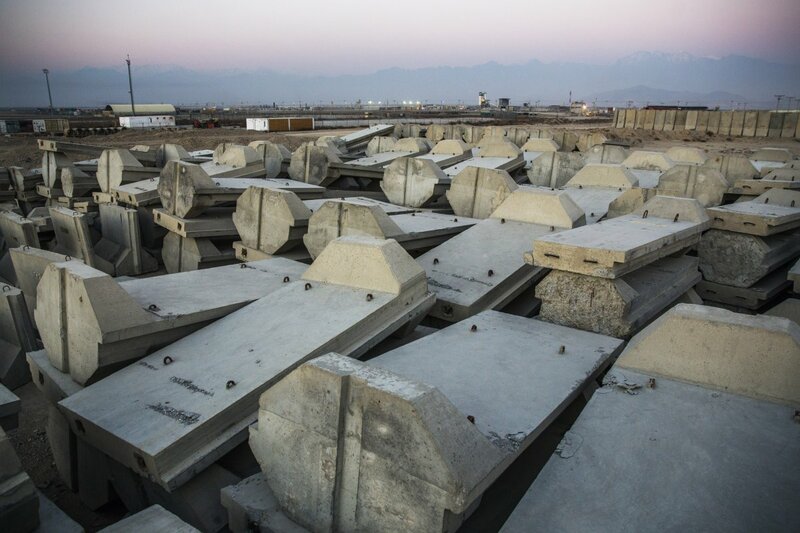 By the end my deployment, I could tell you how much each concrete barrier weighed. How much each barrier cost. What crane was needed to lift different types. How many could be emplaced in a single night. How many could be moved with a military vehicle before its hydraulics failed. Baghdad was strewn with concrete—barriers, walls, and guard towers. Each type was named for a state, denoting their relative sizes and weights. There were small barriers like the Jersey (three feet tall; two tons), medium ones like the Colorado (six feet tall; 3.5 tons) and Texas (six feet, eight inches tall; six tons), and large ones like the Alaska (12 feet tall; seven tons). And there were T-walls (12 feet tall; six tons), and actual structures such as bunkers (six feet tall; eight tons) and guard towers (15 to 28 feet tall). Concrete also gave soldiers freedom to maneuver in urban environments. In the early years of the war, US forces searched for suitable spaces in which to live. Commanders looked for abandoned factories, government buildings, and in some situations, schools. Existing structures surrounded by walled compounds of some type were selected because there was little in the environment to use for protection—such as dirt to fill sandbags, earthworks, or existing obstacles. As their skills in employing concrete advanced, soldiers could occupy any open ground and within weeks have a large walled compound with hardened guard towers. Now up into the air. My posts on the US Air Force’s Bombing Encyclopedia (here and here) continue to attract lots of traffic; I now realise that the project – a targeting gazetteer for Strategic Air Command – needs to be understood in relation to a considerable number of other texts. Elliott Child has alerted me to the prisoner/defector interrogations that provided vital intelligence for the identification of targets – more soon, I hope – while those targets also wound their way into the President’s Daily Brief (this was an era when most Presidents read the briefs and took them seriously, though Nixon evidently shared Trump’s disdain for the CIA: see here.) James David has now prepared a National Security Archive Electronic Briefing Book (No 574) which provides many more details based on redacted releases of Briefs for the period 1961-77. 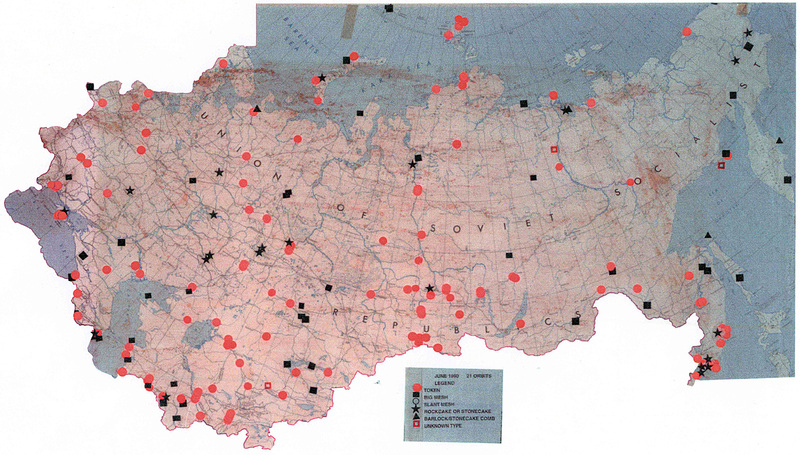 Two of the most critical intelligence targets throughout the Cold War were Soviet missile and space programs. U.S. intelligence agencies devoted a huge amount of resources to acquiring timely and accurate data on them. Photoreconnaissance satellites located launch complexes and provided data on the number and type of launchers, buildings, ground support equipment, and other key features. They located R&D centers, manufacturing plants, shipyards, naval bases, radars, and other facilities and obtained technical details on them. The satellites also occasionally imaged missiles and rockets on launch pads. There were four successful photoreconnaissance satellite programs during the four administrations in question. CORONA, a broad area search system, operated from August 1960 until May 1972. The first successful high resolution system, GAMBIT-1, flew from 1963-1967. The improved GAMBIT-3 high resolution satellite was launched from 1966-1984. HEXAGON, the broad area search successor to CORONA, operated from 1971-1984. High-resolution ground photography of missiles and rockets displayed at Moscow parades and other events also proved valuable at times. Signals intelligence platforms [above] also contributed greatly to understanding Soviet missile and space programs. Satellites such as GRAB (1960-1962), POPPY (1962-1971), and AFTRACK payloads (1960-1967) located and intercepted air defense, anti-ballistic missile, and other radars and added significantly to U.S. knowledge of Soviet defensive systems and to the development of countermeasures. Other still-classified signals intelligence satellites launched beginning around 1970 reportedly intercepted telemetry and other data downlinked from missiles, rockets, and satellites to Soviet ground stations, and commands uplinked from the stations to these vehicles. 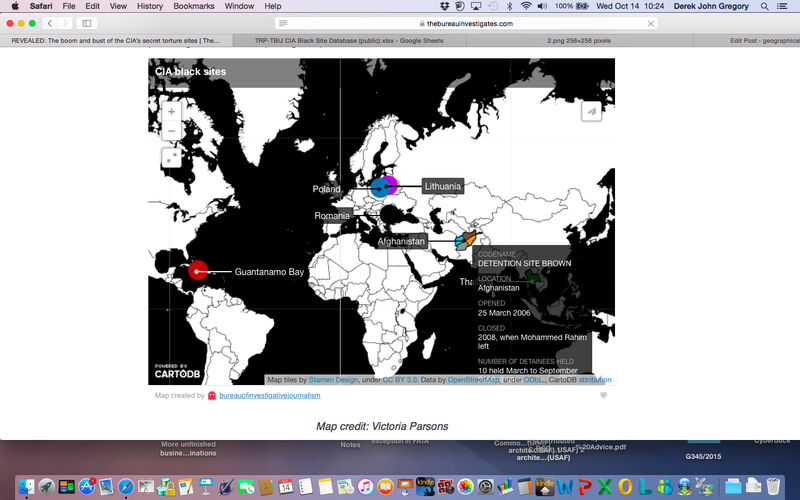 Antennas at intercept sites also recorded this downlinked data. During the latter stages of missile and rocket tests to the Kamchatka Peninsula and the Pacific, ships and aircraft also intercepted telemetry and acquired optical data of the vehicles. Analysis of the telemetry and other data enabled the intelligence agencies to determine the performance characteristics of missiles, rockets, and satellites and helped establish their specific missions. Radars at ground stations detected launches, helped determine missile trajectories, observed the reentry of vehicles, and assisted in estimating the configuration and dimensions of missiles and satellites. Space Surveillance Network radars and optical sensors detected satellites and established their orbital elements. The optical sensors apparently also photographed satellites. An illuminating study tracing the evolution of drone technology and counterterrorism policy from the Reagan to the Obama administrations. This eye-opening study uncovers the history of the most important instrument of U.S. counterterrorism today: the armed drone. It reveals that, contrary to popular belief, the CIA’s covert drone program is not a product of 9/11. Rather, it is the result of U.S. counterterrorism practices extending back to an influential group of policy makers in the Reagan administration. Tracing the evolution of counterterrorism policy and drone technology from the fallout of Iran-Contra and the CIA’s “Eagle Program” prototype in the mid-1980s to the emergence of al-Qaeda, Fuller shows how George W. Bush and Obama built upon or discarded strategies from the Reagan and Clinton eras as they responded to changes in the partisan environment, the perceived level of threat, and technological advances. Examining a range of counterterrorism strategies, he reveals why the CIA’s drones became the United States’ preferred tool for pursuing the decades-old goal of preemptively targeting anti-American terrorists around the world. You can get a preview of the argument in his ‘The Eagle Comes Home to Roost: The Historical Origins of the CIA’s Lethal Drone Program’ in Intelligence & National Security 30 (6) (2015) 769-92; you can access a version of that essay, with some of his early essays on the US as what he now calls a ‘post-territorial empire’, via Academia here. For residents of the twenty-first century, a vision of a future without warfare is almost inconceivable. Though wars are terrible and destructive, they also seem unavoidable. In this original and deeply considered book, A. C. Grayling examines, tests, and challenges the concept of war. He proposes that a deeper, more accurate understanding of war may enable us to reduce its frequency, mitigate its horrors, and lessen the burden of its consequences. Grayling explores the long, tragic history of war and how warfare has changed in response to technological advances. He probes much-debated theories concerning the causes of war and considers positive changes that may result from war. How might these results be achieved without violence? 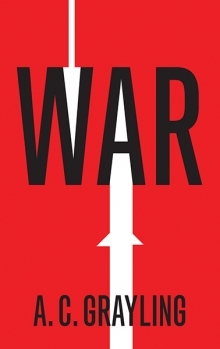 In a profoundly wise conclusion, the author envisions “just war theory” in new moral terms, taking into account the lessons of World War II and the Holocaust and laying down ethical principles for going to war and for conduct during war. British photographer Edmund Clark and counterterrorism investigator Crofton Black have assembled photographs and documents that confront the nature of contemporary warfare and the invisible mechanisms of state control. From George W. Bush’s 2001 declaration of the “war on terror” until 2008, an unknown number of people disappeared into a network of secret prisons organized by the U.S. Central Intelligence Agency—transfers without legal process known as extraordinary renditions. 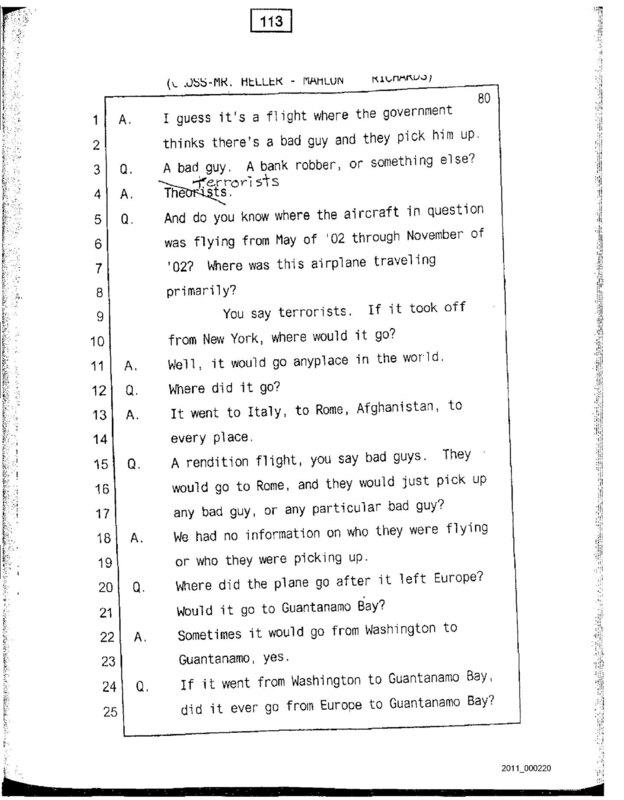 No public records were kept as detainees were shuttled all over the globe. Some were eventually sent to Guantánamo Bay or released without charge, while others remain unaccounted for. The paper trail assembled in this volume shows these activities via the weak points of business accountability: invoices, documents of incorporation, and billing reconciliations produced by the small-town American businesses enlisted in detainee transportation. Clark has traveled worldwide to photograph former detention sites, detainees’ homes, and government locations. 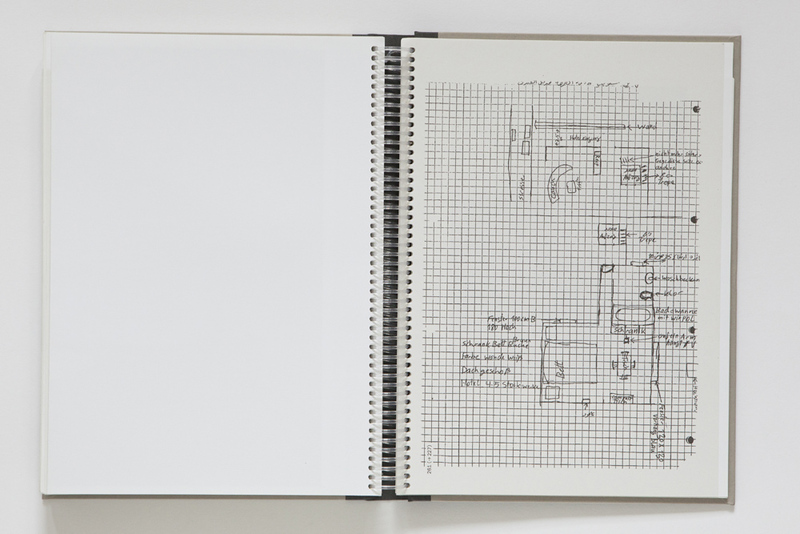 He and Black recreate the network that links CIA “black sites,” and evoke ideas of opacity, surface, and testimony in relation to this process—a system hidden in plain sight. Negative Publicity: Artefacts of Extraordinary Rendition, copublished with the Magnum Foundation, its creation supported by Magnum Foundation’s Emergency Fund, raises fundamental questions about the accountability and complicity of our governments, and the erosion of our most basic civil rights. However, the images start to bear a chilling significance when coupled with the paper trail and extracts of interview patiently compiled by Crofton Black, an investigative journalist whose research focuses on extraordinary rendition and black site cases. Over the course of his inquiry, Black has amassed incriminating documents that range from satellite maps to landing records, from border guard patrol logs to testimonies of people tortured in CIA ‘black sites’, from invoices to CIA documents released after freedom of information act litigation by the American Civil Liberties Union. He managed to give them meaning by organizing them into engrossing episodes that give a glimpse of the building and unraveling of the extraordinary rendition network. 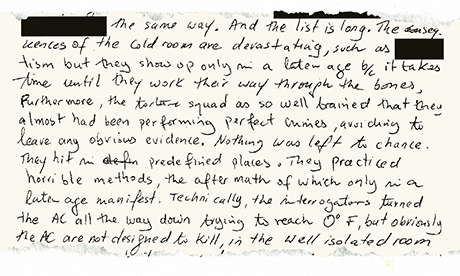 Edmund Clark: In 2011, while I was working on a body of work on Guantanamo Bay, I was in contact with Clive Stafford Smith at Reprieve and found out that they were doing work on extraordinary rendition. I met Crofton and discovered that was what he was also researching. I became interested in doing something on extraordinary rendition as a progression of my work on Guantanamo Bay. Crofton Black: When he first came to me I’d been out in Lithuania, looking at this weird site—a warehouse that had been built in the woods in the middle of nowhere, on the site of a former riding school. 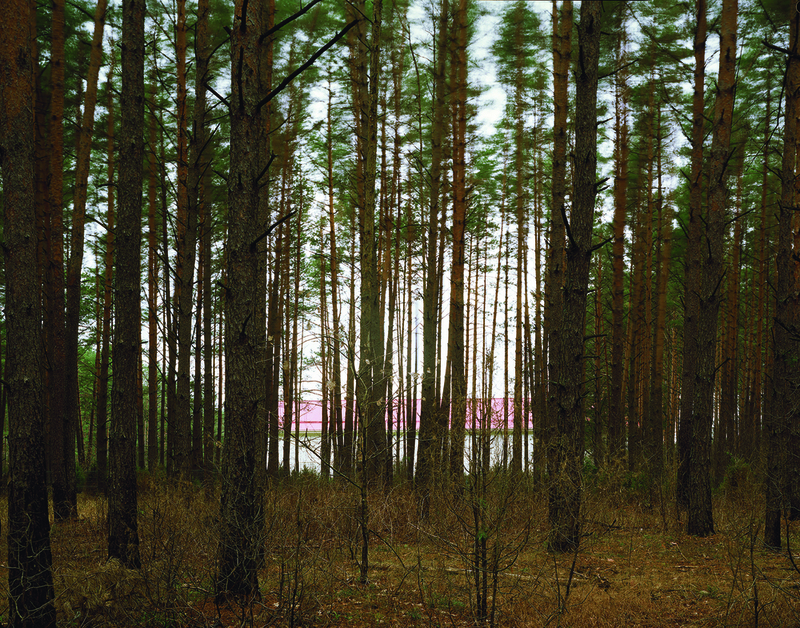 I was building a court case around it, so when [Clark] got in touch I said, ‘Oh, you should go to Lithuania and take some photos of this strange, peculiar place.’ Which he did. After that we started formulating a more complex and ambitious scheme of trying to document the black-site network through documents, images, and prose. We spent a long time working out how to fit it all together. I was aware that I had all this material, that there were remarkable stories and images and documents that were bizarre, and spoke beyond what was immediately visible in them. I knew I wanted to do something with it that was less dry than legal cases, which are quite dull. There was an opportunity to do something that spoke to a different, and bigger, audience. Black: Obviously, post-Hannah Arendt, “the banality of evil” has become a standardized phrase. For me, one of the places you see it most strongly is in bureaucracy: in these documents, in the way they are written, the way certain forms of interrogation are described, or flight routes are detailed. I wanted to make that point. None of these things would be possible without a complex bureaucratic system enabling them. In theory, the idea of a bureaucracy is that everything has its place and gets done by the right person. But in practice it often means that no one is responsible for anything. And that’s what we found in Eastern Europe—no one was responsible. There’s no one in Poland or Lithuania who is responsible for any of this stuff! Clark: That’s something we wanted to bring out: the ordinariness, the banality of it all. When she spoke of the banality of evil, Hannah Arendt was talking about the bureaucracy of National Socialism. Here, we are talking about a mosaic of small companies—small to medium enterprises—earning a buck. Note the glorious correction above. Black: Most of the paperwork in the book is from other entities or other countries [than the US]. If they wanted to have an entirely secret prison system, they shouldn’t have invented one that involved flying prisoners all over the world. You simply can’t fly a plane from A to B without leaving a gigantic paper trail. You just can’t, otherwise planes would be bumping into each other. They could have just held their 119 prisoners in Afghanistan and we would probably have found it an awful lot more difficult to find out about it. But the peculiarities of how they wanted—or, at times, were forced to—use different locations… that made it detectable. All of this, of course, parallels Trevor Paglen‘s work in interesting and complementary ways: see my post here, which connects Trevor’s project to Crofton’s work on ‘the boom and bust of the CIA’s torture sites‘ and his involvement in the Rendition Project. There have been several attempts to reconstruct the geography of the CIA’s program of extraordinary rendition. I’ve long admired the work of my good friend Trevor Paglen, described in his book with A.C. Thompson, Torture Taxi: on the trail of the CIA’s rendition flights, available in interactive map form through Trevor’s collaboration with the Institute for Applied Autonomy as Terminal Air. (I’ve commented on the project before, here and especially here). 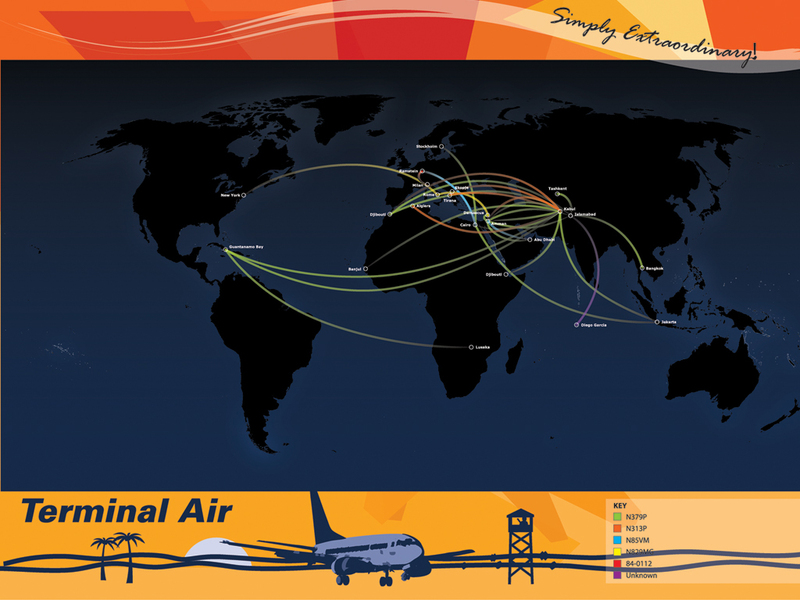 Terminal Air is an installation that examines the mechanics of extraordinary rendition, a current practice of the United States Central Intelligence Agency (CIA) in which suspected terrorists detained in Western countries are transported to so-called “black sites” for interrogation and torture. Based on extensive research, the installation imagines the CIA office through which the program is administered as a sort of travel agency coordinating complex networks of private contractors, leased equipment, and shell companies. 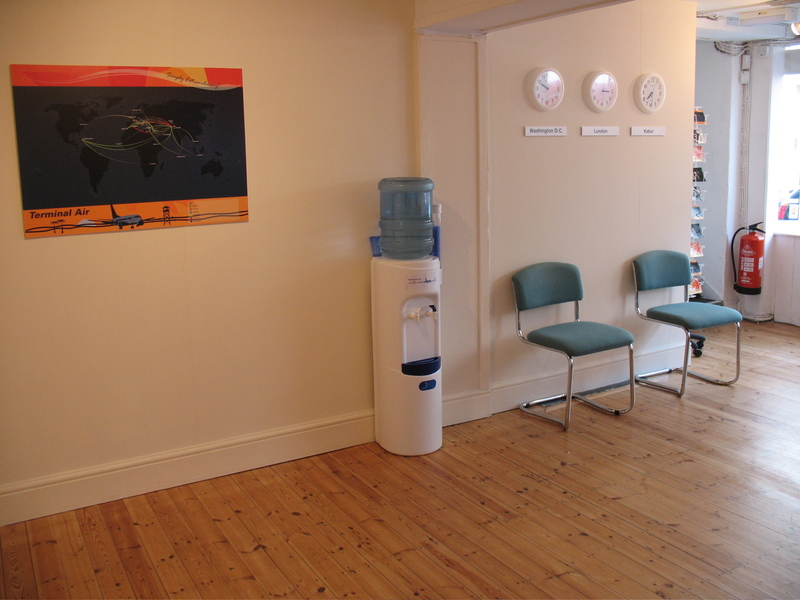 Wall-mounted displays track the movements of aircraft involved in extraordinary rendition, while promotional posters identify the private contractors that supply equipment and personnel. Booking agents’ desks feature computers offering interactive animations that enable visitors to monitor air traffic and airport data from around the world, while office telephones provide real-time updates as new flight plans are registered with international aviation authorities. Seemingly-discarded receipts, notes attached to computer monitors, and other ephemera provide additional detail including names of detainees and suspected CIA agents, dates of known renditions, and images of rendition aircraft. 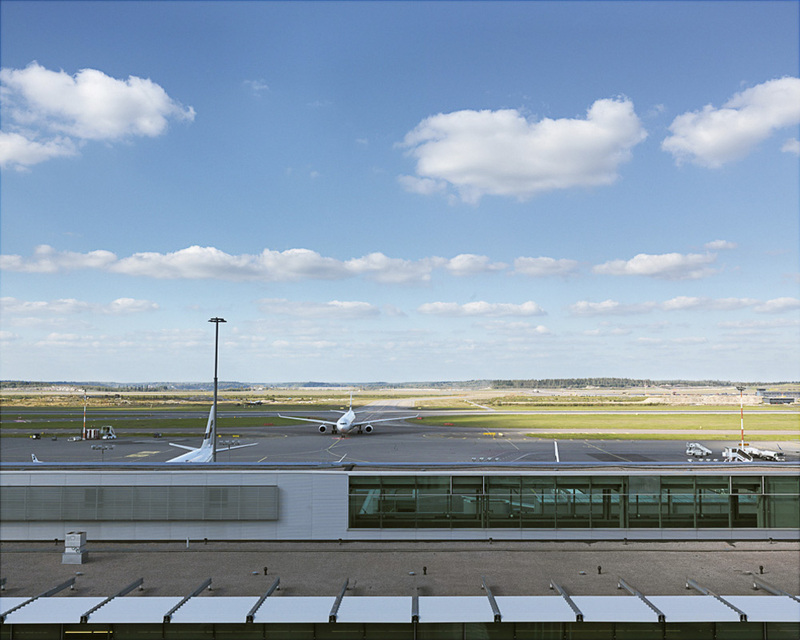 Terminal Air was inspired through conversations with researcher and author Trevor Paglen (Torture Taxi: On the Trail of the CIA’s Rendition Flights – Melville House Publishing). Data on the movements of the planes was compiled by Paglen, author Stephen Grey (Ghost Plane: The True Story of the CIA Torture Program – St. Martin’s Press) and an anonymous army of plane-spotting enthusiasts. Although Trevor subsequently explained why he tried to ‘stay away from cartography and “mapping” as much as possible’ in his work, preferring instead the ‘view from the ground’, the cartography of all of this matters in so many ways – from the covert complicity of many governments around the world in a global geopolitics of torture through to the toll exerted on the bodies and minds of prisoners as they were endlessly shuffled in hoods and chains over long distances from one black site to another. In spring 2003 an unnamed official at CIA headquarters in Langley sat down to compose a memo. It was 18 months after George W Bush had declared war on terror. “We cannot have enough blacksite hosts,” the official wrote. The reference was to one of the most closely guarded secrets of that war – the countries that had agreed to host the CIA’s covert prison sites. Between 2002 and 2008, at least 119 people disappeared into a worldwide detention network run by the CIA and facilitated by its foreign partners. Lawyers, journalists and human rights organisations spent the next decade trying to figure out whom the CIA had snatched and where it had put them. 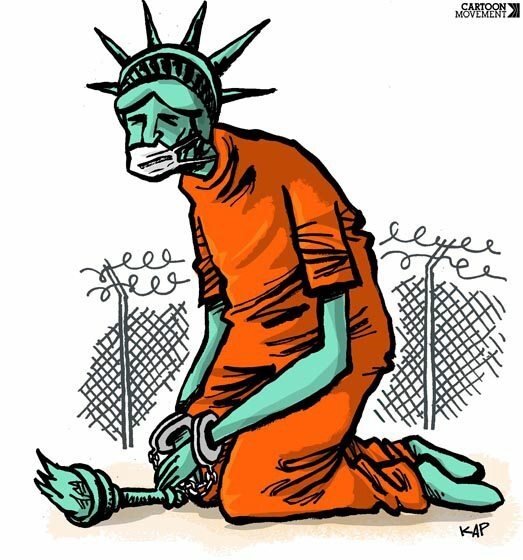 A mammoth investigation by the US Senate’s intelligence committee finally named 119 of the prisoners in December 2014. It also offered new insights into how the black site network functioned – and gruesome, graphic accounts of abuses perpetrated within it. Many of those 119 had never been named before. The report’s 500-page summary, which contained the CIA official’s 2003 remarks, was only published after months of argument between the Senate committee, the CIA and the White House. It was heavily censored, while the full 6,000-page study it was based on remains secret. All names of countries collaborating with the CIA in its detention and interrogation operations were removed, along with key dates, numbers, names and much other material. In nine months of research, the Bureau of Investigative Journalism and The Rendition Project have unpicked these redactions to piece together the hidden history of the CIA’s secret sites. This account unveils many of the censored passages in the report summary, drawing on public data sources such as flight records, aviation contracts, court cases, prisoner testimonies, declassified government documents and media and NGO reporting. Although many published accounts of individual journeys through the black site network exist, this is the first comprehensive portrayal of the system’s inner dynamics from beginning to end. At present the mapping is rudimentary (see the screenshot above), but the database matching prisoners to black sites means that it ought to be possible to construct a more fine-grained representation of the cascade of individual movements. The Rendition Project has already identified more than 40 rendition circuits involving more than 60 renditions of CIA prisoners: see here and the interactive maps here. The Bureau of Investigative Journalism and The Rendition Project have just published their first quarterly report on 119 people secretly detained and tortured by the CIA as part of the ‘war on/of terror’. You can download the brief report as a pdf here, but the infographic below summarises the key findings (and don’t let its stark simplicity fool anyone about the detailed research that went into its production: this is difficult work). Many commentators have noted that the Obama administration’s determination to end the CIA’s rendition program coincided with a decision to ramp up its covert program of targeted killing. The preference for ‘kill’ over ‘capture’ is complicated by the living death suffered by many of those who were imprisoned in the carceral archipelago of black sites and prisons – and we should surely welcome the determination to widen the focus beyond Guantanamo to include, notably, Bagram. (On the Times‘ decision to name names, see Jack Goldsmith‘s interview with Dean Baquet, Executive Editor of the Times). ‘The confidence [Senator Dianne] Feinstein and other Democrats express about the drone program, which by most accounts has been effective in killing hundreds of Qaeda operatives and members of other militant groups over the years, stands in sharp contrast to the criticism among lawmakers of the now defunct C.I.A. program to capture and interrogate Qaeda suspects in secret prisons. ‘When Ms. Feinstein was asked in a meeting with reporters in 2013 why she was so sure she was getting the truth about the drone program while she accused the C.I.A. of lying to her about torture, she seemed surprised. I had a wonderful time at the Balsillie School at Waterloo last week – good company, constructive conversations and endless hospitality – and I’m truly grateful to Simon Dalby, Jasmin Habib and all the graduate students who made my visit so enjoyable. I finished by giving one of the Centre for Global Governance Innovation (CIGI)’s Signature Lectures. This was the latest (and near-final) version of “Dirty dancing: drones and death in the borderlands”. The argument has developed considerably since my first presentations; I’ll upload the written version once it’s finished, but CIGI has posted the lecture and Q&A online here. I’ve also embedded the YouTube version below, but if that doesn’t work try here. My thanks to the AV technicians who made this possible: their help with the production followed by their assured and rapid-fire editing beats anything I’ve encountered anywhere. In this version, I begin with two CIA-directed drone strikes in Pakistan’s Federally Administered Tribal Areas, one on Baitullah Mehsud (the leader of Tehrik-i-Taliban) and the other on ‘Mamana’ Bibi, an innocent grandmother and midwife, and ask what it is that makes strikes like these – which is to say strikes as unlike these – possible. My answer turns on the kinds of space the FATA been made out to be: in particular, a space of exception in which people are knowingly and deliberately exposed to death, and a territory conceived as a political technology through which power lays claim to bodies-in-space. Unlike Giorgio Agamben‘s original formulation, though, my discussion of the space of exception focuses not on violence authorised through the suspension of the law but rather violence that operates inside the law: so I look at the legal regimes, both international and national, that affect military and paramilitary violence in the FATA. A further difference is that this exceptional state of affairs is provoked not by an event but by a margin: by the construction of the FATA as a liminal zone, borderlands that are outside ‘Pakistan proper’ or ‘mainland Pakistan’. Many commentators (including me) trace the origin of aerial violence to the British Raj, its Frontier Crimes Regulations and its ‘policing’ of the North-West Frontier. This is important, but the line of descent to today’s air strikes is not direct. In particular, it is important to bring into view the cross-border incursions made by Soviet and Afghan aircraft during the occupation of Afghanistan. Thousands of people were killed and injured during these attacks, and this constitutes an important horizon of memory, but no less important is the response of the Pakistan Air Force: their US-supplied jets intercepted incoming aircraft and either escorted them out of Pakistani air space or, towards the end of the 1980s, engaged them in combat. This begs an obvious question: if Pakistan objects to the US strikes – carried out by drones that are slow, noisy and sluggish – why does its Air Force not shoot them down? Since today’s drones cannot be used in contested air space – bluntly, they can only be used against defenceless people – why does Pakistan elect to render the people of FATA defenceless? This immediately brings into view the other source of aerial violence in the borderlands: the ongoing offensives in the FATA launched by the Pakistan Air Force (in concert with large-scale ground operations). Even though the Pakistan Air Force has its own reconnaissance drones, some of which are now armed, these are not attempts to put ‘warheads on foreheads’, as the US Air Force would have it, but wide-area assaults conducted by conventional strike aircraft and attack helicopters – as I show in the case of Mir Ali and Miran Shah during Operation Zarb-i-Azb (see here and here and here). To complete the sequence and add the US drone strikes, I trace the intimate collaboration between both the CIA and the US Air Force and between Washington and Islamabad. The diplomatic cables released by Wikileaks show time and time again that many of the negotiations about access to ‘flight boxes’ over North and South Waziristan were conducted by the Chairman of the Joint Chiefs of Staff and the commander of US Central Command. I show, too, how the collaboration between Washington and Islamabad continued until at least 2013. In order for the CIA-directed strikes to be possible, however, the FATA must also be turned into a territory in something like the sense proposed by Stuart Elden. So I describe the multiple ways in which data is harvested by the NSA and other agencies to produce what Rob Kitchin and Martin Dodge call code/space: the algorithmic combination of sensors, traces and intercepts to summon into being a body-as-target (for more, see here: scroll down), and to produce the space of the target where fleshy bodies disappear and are replaced by codes, co-ordinates and cross-hairs. 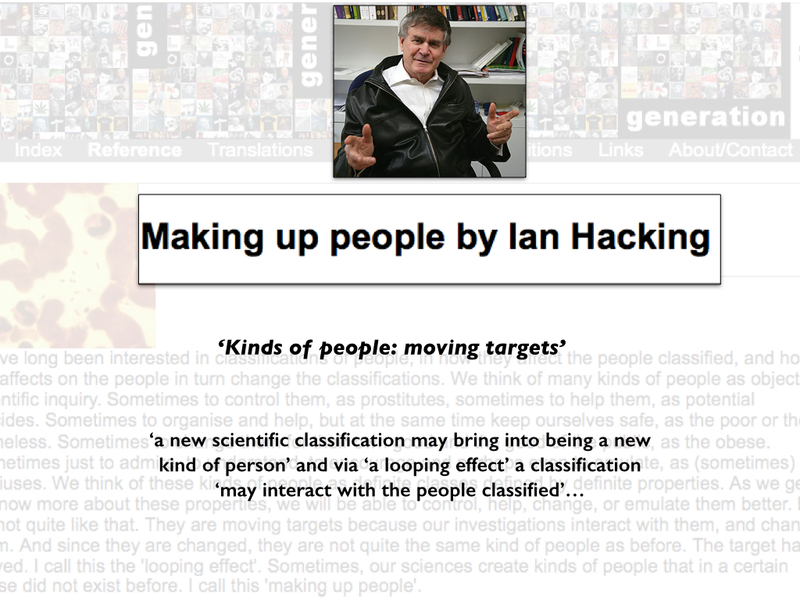 This is another version of what Ian Hacking calls ‘making up people’: there is an important sense, then, in which the supposed ‘individuation’ of later modern war depends on the selective and active production (and destruction) of an ‘individual’. The questions and comments after the lecture were immensely helpful, and as I turn this into its final, written version I’d be grateful for any further comments if you watch the video. Melanie Richter-Montpetit has an essay at The disorder of things, ‘Why Torture When Torture Does Not Work? Orientalism, Anti-Blackness and the Persistence of White Terror‘, which repays careful reading. The immediate provocation for her essay, which is rooted in her recent York PhD thesis Beyond the Erotics of Orientalism: Homeland Security, Liberal War and the Pacification of the Global Frontier, was the Senate Torture Report (see my earlier post on ‘Tortured geographies’ here). And speaking of violence and torture in the global war prison, Mohamedou Ould Slahi‘s Guantanamo Diary, which is being serialised in the Guardian and was published in book form earlier this week, provides more evidence of its routinised, banalised practice. Slahi’s manuscript was subjected to more than 2,500 redactions before declassification, ostensibly to protect classified information, but with the effect of preventing readers from learning the full story of his ordeal. The book is being published with all the censor’s marks in place, and the publishers – Canongate in the UK and Little, Brown in the US – hope they will be able to publish an uncensored edition when Slahi is eventually released. No, actually, we’re not. 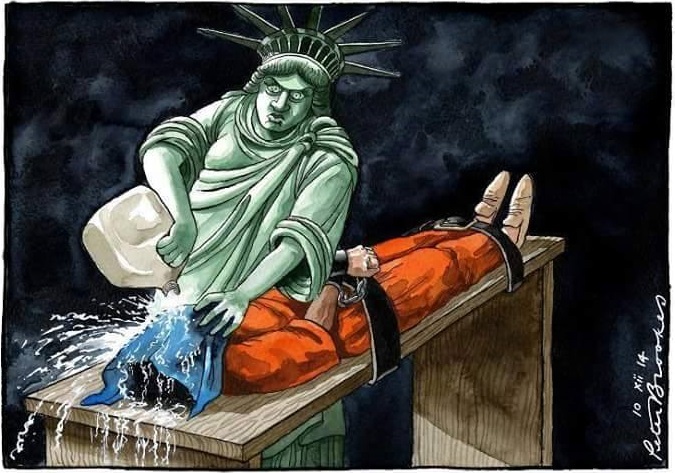 There’s something bizarre about responding to a 600-page document detailing systematic U.S. government torture by declaring that the real America—the one with good values—does not torture. It’s exoneration masquerading as outrage. Imagine someone beating you up and then, when confronted with the evidence, declaring that “I’m not really like that” or “that wasn’t the real me.” Your response is likely to be some variant of: “It sure as hell seemed like you when your fist was slamming into my nose.” A country, like a person, is what it does. It’s tempting to compare this to Latin American–style police impunity, but that would be unfair to the societies that have punished at least some of the abuses of their past dictatorships. In the same week that the SSCI released its report, Brazil published its own investigation into state torture of political dissidents under its long dictatorship. Indeed, one of that torture regime’s victims, Dilma Rousseff, is now the head of state. Latin American nations have been chipping away at, or simply ignoring, the amnesty deals made with the authoritarian rulers of the ’70s and ’80s and have brought many of their torturers to justice. Keep the language crisp and pungent; prefer the forthright to the pompous and ornate. Do not stray from the subject; omit the extraneous, no matter how brilliant it may seem or even be. Favor the active voice and shun streams of polysyllables and prepositional phrases. Keep sentences and paragraphs short, and vary the structure of both. Be frugal in the use of adjectives and adverbs; let nouns and verbs show their own power. 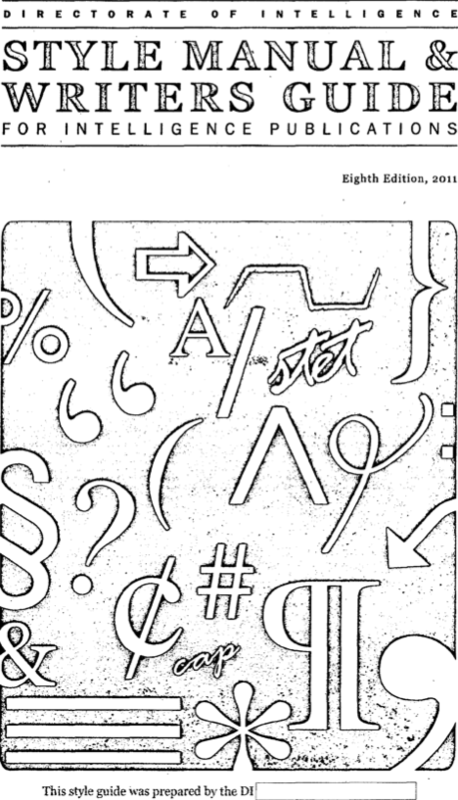 They are taken from the CIA’s detailed Style Manual & Writers Guide for Intelligence Publications issued in 2011; you can find Michael Silverberg‘s commentary at Quartz here. Do not uppercase the w in Korean war, which was “undeclared”; the same logic applies to Vietnam war and Falklands war, and a similar convention (if not logic) to the Iran-Iraq war. Hidden in plain sight here is the remarkable fact that the United States has not formally declared war since 1941. You may think that not much depends on a formal declaration, and you would be right, except that this reluctance says much about executive authority and, crucially, what Larry Hancock and Stuart Wexler call, in their excellent Shadow Warfare (Counterpoint, 2014), ‘the history of America’s undeclared wars’. Contrary to their contemporary image, deniable covert operations are not something new. Such activities have been ordered by every president and every administration since World War II. Clandestine operations have often relied on surrogates, with American personnel involved only at a distance, insulated by layers of deniability. Shadow Warfare traces the evolution of these covert operations, detailing the tactics and tools used from the Truman era through those of the contemporary Obama administration. It also explores the personalities and careers of many of the most noted shadow warriors of the past sixty years, tracing the decades-long relationship between the CIA and the military. 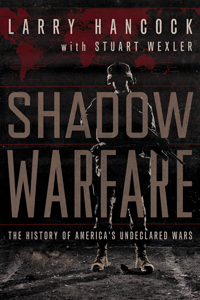 Shadow Warfare offers a balanced, non-polemic exploration of American concealed warfare, detailing its patterns, consequences, and collateral damage, and presenting its successes as well as its failures. Hancock and Wexler explore why every president, from Franklin Roosevelt on, felt compelled to turn to secret, deniable military action. It also delves into the political dynamic of the president’s relationship with Congress, and the fact that despite decades of warfare, Congress has chosen not to exercise its responsibility to declare a single state of war—even for extended and highly visible combat.